Joe supports a diverse practice and a number of the Firm’s attorneys on complex litigation matters including civil real estate fraud, partnership disputes, and high profile commercial and intellectual property disputes both within and outside the apparel industry. Joe also has experience both imposing and representing receivers at the state and federal level. Joe serves as “outside general counsel” for a number of privately held small to medium sized businesses in the Los Angeles area. 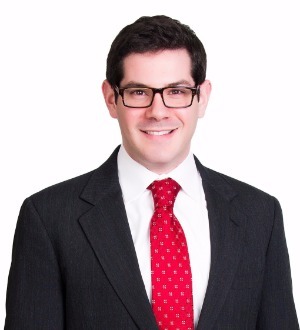 Before joining Brutzkus Gubner, Joe worked on products liability and mass tort claims for a boutique Los Angeles Firm. Additionally, he spent a semester as an extern for the Honorable Judge Maureen Tighe in the San Fernando Valley Division of the United States Bankruptcy Court for the Central District of California. Joe spent the summer of 2011 as a special holocaust reparations clerk for Bet Tzedek legal services in Los Angeles, personally working on over one hundred and fifty individual cases.